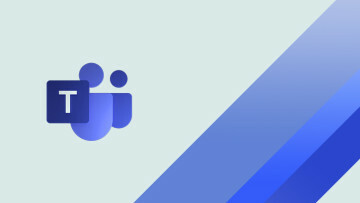 Following Microsoft's annual Build event last week, which was thoroughly covered by Neowin, the company has now announced some new features arriving to Bing. 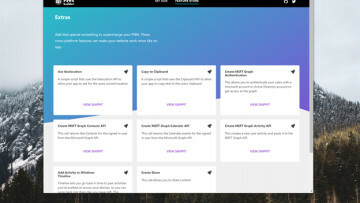 The search engine will now support bots, eSports coverage and search for hiking and camping places. 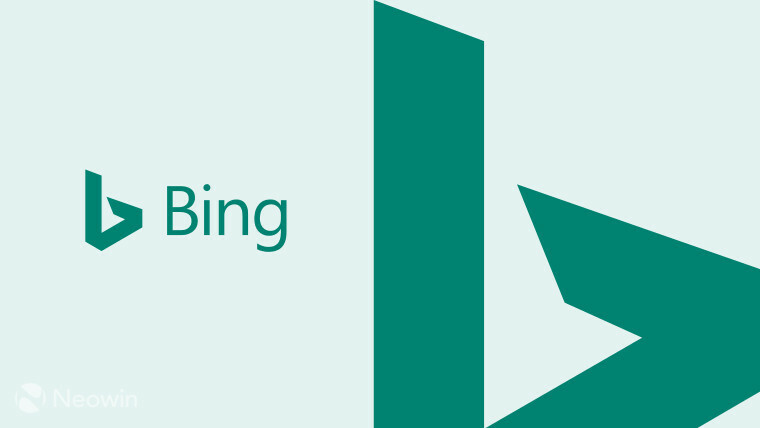 Bing will now be able to search for bots from multiple messaging platforms, including Skype, Facebook Messenger, Slack and Telegram. 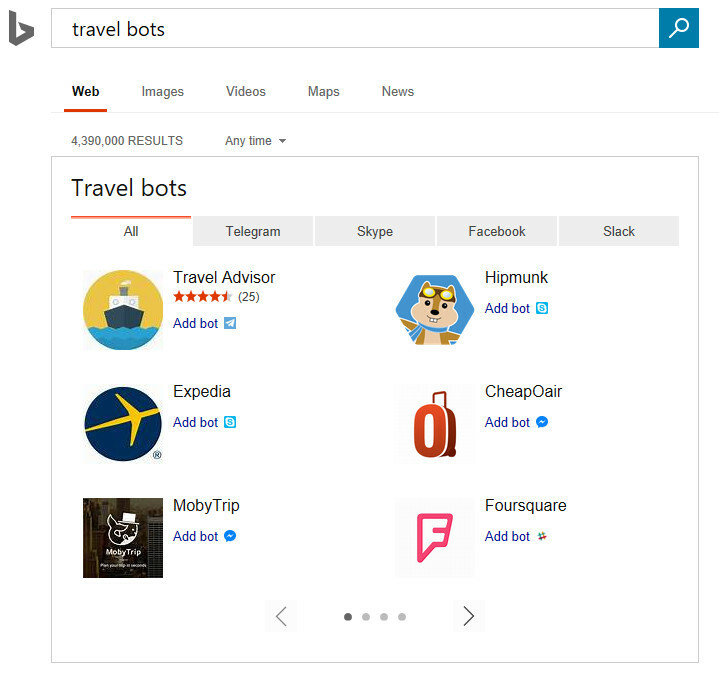 After searching for a bot, the user can now add relevant bots to those services directly from the Bing search results page, as can be seen in the image at the right. Furthermore, some chatbots are now available in Seattle for interaction directly from the Bing search results. For example, when searching for a restaurant, the user can ask the bot about where to park and if they accept certain credit cards. 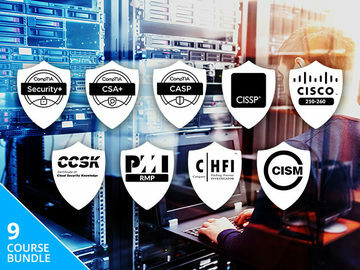 This program will be expanded to more US metropolitan areas in the coming months. 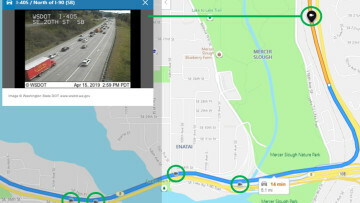 Also, Microsoft is also testing with a small group of users its new Bing InfoBot, which was built on Bot Framework and applies deep learning techniques to automatically build chatbots from existing web content. This bot can gather information from Wikipedia, WebMD, Stack Overflow, Allrecipes, and others to “botify” the web. Finally, the company will also let developers build their own bots for the search engine using Microsoft Bot Framework. Bing now lets users search for nearby hikes and filter them by difficulty level, length, elevation gain, and more. 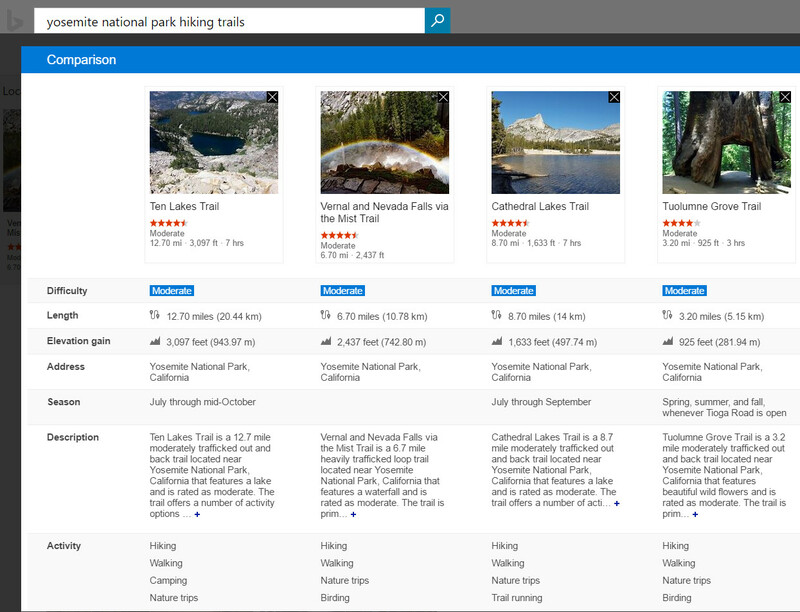 Also, a new comparison window can be used to compare trails and help users choose the right one. Furthermore, info about camping sites and RV parks in the area are also available for those who are looking to spend a night or two somewhere. 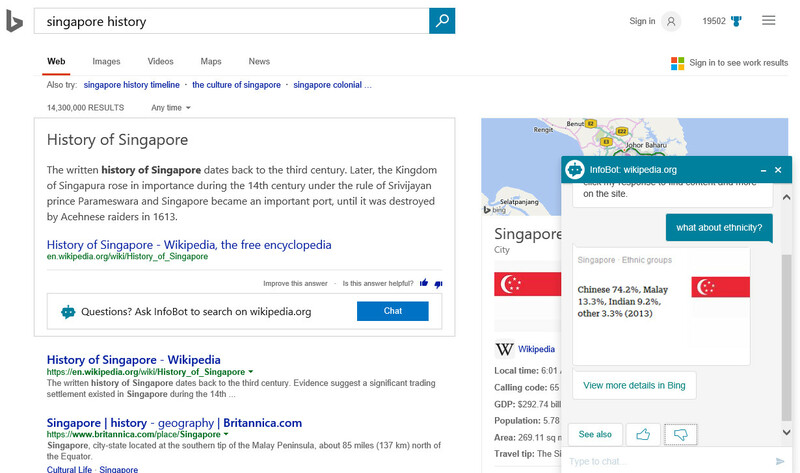 Microsoft has also introduced eSports coverage to Bing. Fans of League of Legends and Counter-Strike can now access info about the current 2017 League of Legends Mid-Season Invitational (MSI) and Counter-Strike: Global Offensive ESL Pro League Season 5. 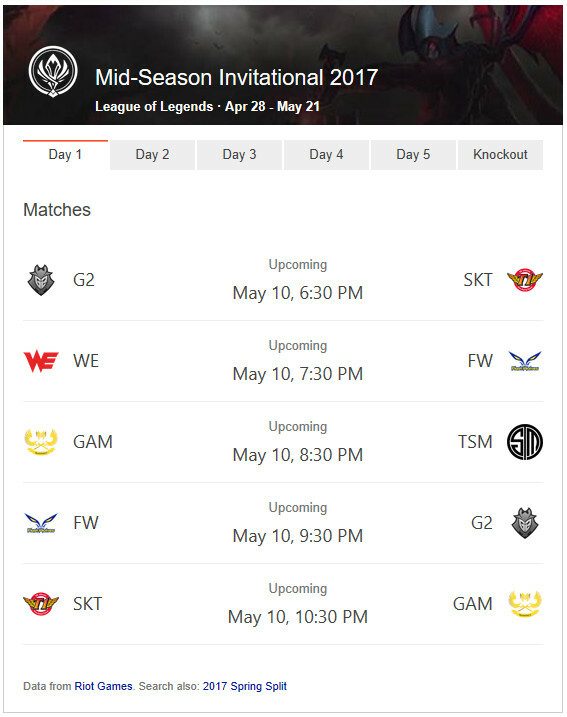 The 2017 MSI is happening in Brazil until May 21 and Bing is offering information on when matches will take place alongside in-depth teams' and players' stats. You can start by searching Bing for “LOL MSI 2017”. On the other hand, fans of Counter-Strike can find the latest events and rankings for season 5 of ESL Pro League. Microsoft announces major redesign for OneNote, "rolling out over the coming weeks"